The summer can spoil you. You get used to enjoying your patio while spending afternoons and evenings outside, and then the cold starts to hit. In late fall and winter, evenings on the patio or in the yard suddenly start to feel like a non-option – unless you invest in an outdoor heater. An outdoor heater extends how much of the year you’re able to comfortably take advantage of the outdoor spaces of your home. For a couple of months longer, you and any guests you host can continue to enjoy time on the patio without getting too chilly. 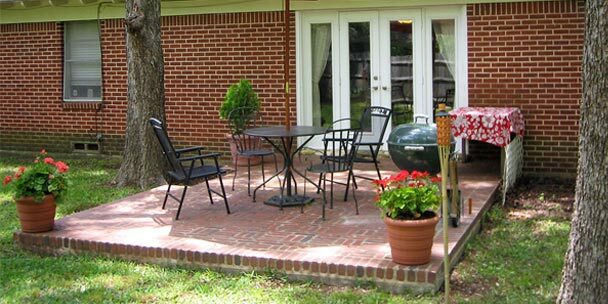 You have a few different options for keeping your patio or yard nice and toasty on cold days. This guide will explore the main types of outdoor heaters available and the most important factors you should consider to help you choose the best one for you. 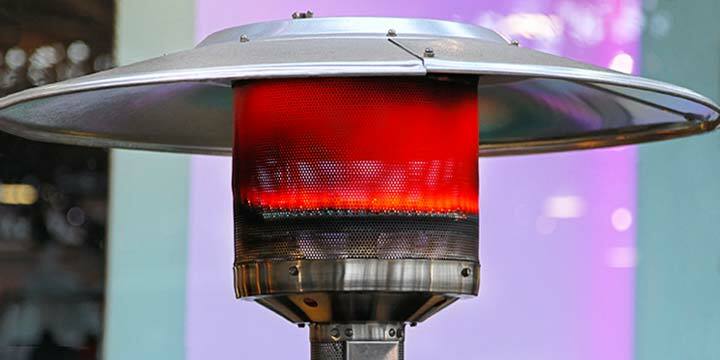 Outdoor heaters typically use one of four main types of fuel sources — Natural Gas, Propane, Electric & Wood — each with their own set of pros and cons. Let’s take a closer look at each of the fuel types, and help narrow down which one is best for you. Propane heaters are pretty easy to add to your patio or yard. They don’t usually require professional installation, so it’s just a matter of putting them together, attaching the gas tank, and turning them on. 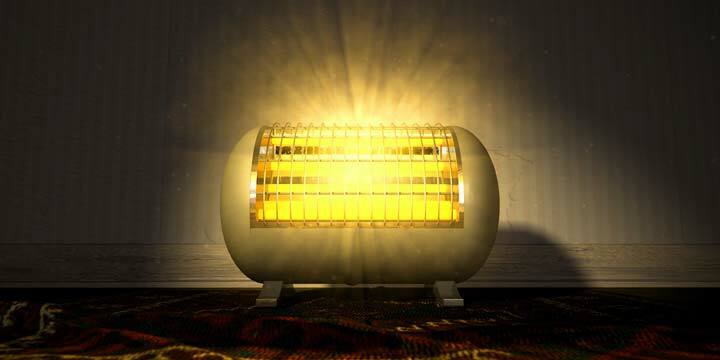 Unfortunately, they cost more than natural gas outdoor heaters in the long run and you should plan on replacing the gas tank every so often if you go with this option, but the startup convenience appeals to many users. And when the propane tank does run out, it’s incredibly easy to replace the tank with a new one. Natural gas outdoor heaters will usually require professional installation, since you’ll need them to be hooked up to your gas line. Because of this, they can cost quite a bit more upfront than other types of outdoor heaters — both for the heater itself and the installation costs. However, they’re the cheapest to use once you have them installed and they’re incredibly easy to maintain. Electric outdoor heaters are typically a very convenient option. With the exception of hanging and wall-mounted models, electric outdoor heaters don’t require any installation and merely need to be plugged in. The main inconvenience you may experience is having to keep your electric heater close to an outlet. Electricity costs more than gas and wood for ongoing use, but electric heaters are very easy to use and maintain and they’re the only type of outdoor heater that it’s safe to use in an enclosed or covered space. Wood is a favorite choice for the atmosphere it provides. It requires more maintenance – you have to continually add more wood to keep the fire going and clean out ashes after, but fire pits and chimineas are popular because people appreciate the ambiance of sitting by a fire and the smell wood releases as it burns. A fire pit or chiminea may sometimes be trickier to ignite than your other heating options, especially on a windy day. Also, you’ll have less control over the level of heat than you would with something you can easily turn down or put on a specific temperature setting. 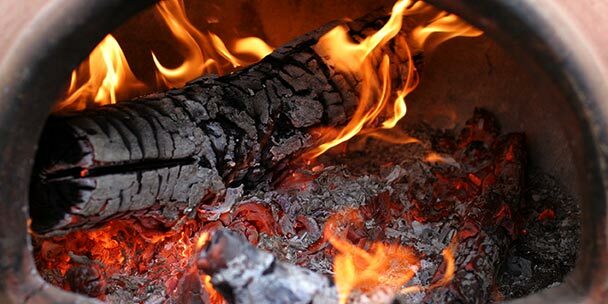 For many people, the look and feel of a wood fire makes the trade-offs worth it. You also have a number of different types of outdoor heaters to select from in terms of design. Floor standing heaters are a popular option and one of the most common types you’ll see if you choose to go with a gas heater. These heaters are usually tall, thin, and give off a good amount of heat. This is the type of outdoor heater you’ll most often see at places like restaurants or coffee shops that have patios. You’ll find a wide range of prices with these options that vary based on the type of fuel they use and their size and power. Hanging and wall-mounted heaters are popular with those who want to save floor space on their patio. The heater releases enough heat to keep you comfortable, while staying out of the way while you make use of the space. They can vary considerably in price and size, are pretty much always electric, and will usually require some installation time from you. Depending on how handy you are, it’s unlikely that you’ll have to hire somebody to install this heater on your patio. Most people find it simple enough to do on your own. Tabletop heaters are the smallest heater on the list and will usually only heat a very limited space, but they’re a particularly affordable option if you only need that small space heated. They’re usually electric, but you can find some gas models. Many of them look like miniature versions of the floor standing patio heaters – the same design, just small enough to put on top of a table. If most of your patio time is spent sitting around a table, this may be the most practical option for your needs. Fire pits and chimineas add that wood-burning ambiance we talked about. You can find affordable options for each, although fire pits can get more expensive if you opt for larger or fancier models. They require more maintenance than other types of outdoor heaters, but for many people the atmosphere they provide just can’t be beat (and they’re the best option if you want to melt marshmallows for s’mores, if that’s something that’s important to you). To determine which outdoor heater is the best choice for your yard or patio, you want to understand what your options are and determine which priorities matter the most to you. These are some of the most important factors to keep in mind and features to be aware of during your search for the best outdoor heater. This is arguably the most important consideration for you to make when buying an outdoor heater. The size and shape of your yard and patio, the situations you’ll use it in, how many people will typically be in the space taking advantage of the heater — clearly defining and considering all of these factors is important to choosing an outdoor heater that will satisfy your needs. If your outside space is small and you and your friends usually stick close to one table or area when outside, a tabletop heater will do the trick. If you have a space that’s covered or enclosed that you want to keep heated, you have to rule out all options except for the electric outdoor heaters. If you want the heater to serve as a focal point during social situations, rather than something that’s functional and in the background, a fire pit makes the most sense. Which choice is the best depends entirely on context and personal preferences. The cost of different options varies quite a bit based on the size, type and style you go with. Many tabletop heaters will fall in the $50-$200 range. Floor standing heaters will usually cost more than $200 and can get up to over $1000 for models that use natural gas. Hanging and wall-mount heaters have a similarly broad range based on size, power, and style. You can find models for less than $100, but easily pay more than $1000 for larger and more powerful heaters. Fire pits and chimeneas usually cost a few hundred dollars. You can find models for about $100 if you’re ok with a small, simple fire pit or chimenea, but can find larger options made with better materials and nicer designs if you’re willing to pay more. It’s wise to have an idea of your budget going in so you know what range to search in. Some of the more expensive models are nice and may be worth the splurge – or in the case of natural gas heaters can save you more in the long run – but if your needs and desires are simple, there’s no reason to pay more than you have to. How powerful your outdoor heater is will determine how much space it heats. Power for a heater is usually measured in British Thermal Units (BTUs). The higher the BTUs, the more heat your heater will give off. In some cases, the manufacturer will say how much space their model heats in their marketing materials, but keep in mind that how far that heat goes will depend on a variety of factors, such as how cold it is outside. Measures like BTUs and wattage can be useful for helping you compare different models to each other, but they can sometimes be misleading. In addition to considering the power the manufacturer says their product gives out, give a look to what customers say in their reviews. They’ll usually offer a clearer picture of how powerful a heater is and how much space you can expect it to heat in different climates and types of weather. Heaters come with risks. A floor standing patio heater needs to be weighted properly to withstand windy days – if it falls over while it’s on, you’re risking a fire. Many models will come with an auto shutoff feature for that purpose. If strong winds are typical to where you live, you should definitely seek out a model that offers this feature. Or at the very least, find a way to anchor the heater down. Any gas or wood heaters should be kept in open spaces. If you place one in an enclosed or covered patio, you risk both carbon monoxide buildup and a fire hazard. Electric heaters tend to be the safest option, but you still want to be careful that you don’t place them too close to anything highly flammable. Since backyard fire pits involve an open fire, they’re the type of outdoor heater that you should practice the most caution with. Make sure you always put the fire out completely when you’re done and that you keep the fire contained to the pit itself so it can’t spread beyond. As in many things, much of outdoor heater safety falls on the user. If you read the manual for your outdoor heater and use caution in how you use it, you’ll decrease your safety risks considerably. The typical climate in your area will influence how much heat you’re going to want and what type of heater makes the most sense. 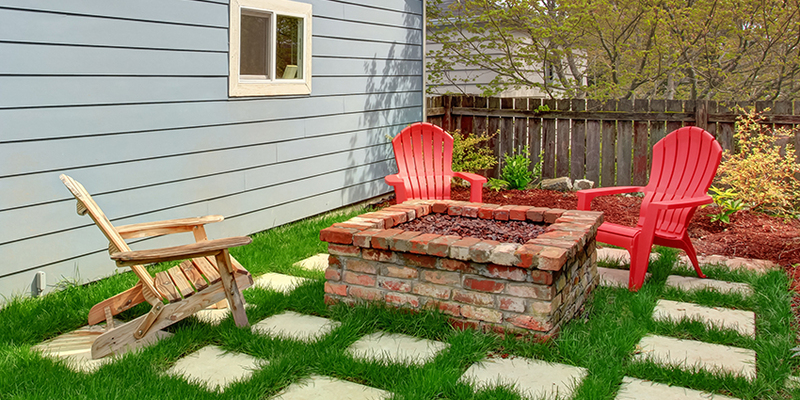 If your area is prone to regular drizzling, a fire pit won’t get much use. If you often see high-powered winds, then a floor standing patio heater may be hard to keep upright. Consider what the weather usually looks like during the times of year that you’ll most want to use your outdoor heater, and make sure you go with a model that will be practical for your climate. Some people will be happy with any heater that’s functional. Others will want one that adds something to the look of their yard or patio. Most floor standing models fall mostly in the functional category, but some are designed to add a nice aesthetic touch to the area you put them in. Many people choose an option that has an open flame for the added ambiance it provides. If appearance and atmosphere are important considerations for you, take some time to browse your options and see which ones have a look that jumps out at you as being a great fit for your outdoor area. Some outdoor heaters are extremely easy to use from the moment you get them for as long as you have them. Others will present some work or maintenance efforts for you. How hard will your heater be to light? For most electric and gas models, it will be as simple as flipping a switch. For fire pits and chimineas, it will take a little more work and time. How hard will it be to put together when you receive it? Some models require more involved assembly or installation than others, so you’ll want to make sure you’re prepared for whatever your model requires. Electric heaters will mostly just need to be plugged in and natural gas heaters only need to be hooked up once, whereas other models will require that you replace the fuel sources with some regularity. Weigh the work involved in owning the type of outdoor heater you like best against what you’re willing to do. Some people don’t mind putting a little effort into getting what they want. 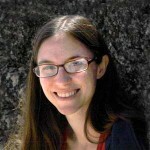 Others may find the work required to be a deterrent in actually using their product. One of the last things you should be sure to consider in your search for an outdoor heater is the reputation of the brand you go with. To provide you some insights into what you can expect from some of the top outdoor heater brands, we researched the user reviews of heaters sold by each to get a feel for what actual customers think. AZ Patio Heaters makes a wide range of outdoor heaters. On the whole, their reviews tend toward the positive, but some models fare better than others in reviewers’ esteem. Where some customers didn’t feel their heater emitted as much heat as they’d like, others praised theirs as being perfect for taking the edge off on a cold night. To get a clear picture of what to expect from the amount of heat your AZ Patio Heater will put out, check the BTUs and reviews for the particular model you consider to make sure you’ll get what you’re looking for. Blue Rooster makes attractive chimineas in a range of styles and prices that mostly get great reviews from customers. The only complaints we came across had to do with chimineas being smaller than the customer had hoped, so be sure to check the specs before you order. Most reviewers comment on how nice the chimineas look and the quality of the materials they’re made from. Endless Summer mostly makes tabletop electric outdoor heaters, but they do have a few models that fall into other categories as well (including floor standing heaters and fire pits). Most of the reviews we found were for the tabletop models, which tend to be popular with customers. Reviewers praise the look of their patio heaters and like that some models work well as lamps as well as heaters. Because of their small size, the heat of these tabletop heaters only goes so far, but most customers were satisfied as long as they had a realistic idea of what to expect. Fire Sense sells a wide range of patio heaters in different styles, types, and designs. In spite of the wide range of options, almost every model we looked into got solid reviews from customers. Fire Sense has a reputation for selling quality outdoor heaters that are easy to use and work effectively. Infratech makes wall mount heaters. We didn’t find just a whole lot of customer reviews on their models, but the ones we did come across suggest the company has a great reputation for products that work well and are reliable. Outdoor Greatroom makes a number of attractive, high-end fire pits. Customers rave about their fire pits in the reviews, particularly how great they look. If aesthetics are a priority and you have some money to spend on your outdoor heater, Outdoor Greatroom’s fire pits are a solid choice to go with. Patina makes affordable fire pits with simple, but nice designs that get pretty consistently positive reviews from users. Many comment that they’re happy with the value for the price and several mentioned that their fire pits are made from sturdy steel. We did see a couple warnings about the products rusting – using a cover when your fire pit is not in use is a smart idea. Otherwise, the consensus seems pretty positive on Patina fire pits. Real Flame sells fire pits that get solid reviews from customers. Reviewers heartily praise the company’s designs and many reviewers say their fire pits are made from quality materials built to last (although this seems to be true for some models more than others). For a nice looking fire pit, Real Flame is worth checking out. Solaira makes wall mount heaters that get mixed reviews from customers. Some reviewers are completely satisfied with their heaters, others find the heat too weak or the light it emits obnoxious. They do get points for being made of quality materials and being safe for homes with pets and kids. Sunglo sells floor standing patio heaters and hanging outdoor heaters. Neither type has just a wealth of reviews online to browse, but on the whole the reviews we found tended toward the positive. Sunpak is another company whose heaters have limited reviews online, but the ones we found were all positive. They sell wall-mount electric heaters that customers seem very happy with the performance of, other than the heaters not offering multiple settings. Whether you want a gorgeous centerpiece for your parties or just something that will add enough warmth to let you enjoy your morning coffee on the patio for more of the year, you can find an outdoor heater to serve your purposes. You can’t control the weather, but you can make your outdoor spaces more comfortable and pleasant to spend time in, even during the cold seasons. I like your comments but would like to know the name of the company and brand of the samples that you show I in particular would like to know what company sells the Tuscany real flame fire pit with grapes decorating looks like made of steel. I look in Real Flame company and they do not have this style. The above firepit also does not have a name. Where can I buy the above Tuscany fire-pit look like made of steel with decorated grapes? We can form our backyard beautiful with these different kind of patio heaters. We can’t check the weather the way we wanted it be we just need to be creative always. That is a Blue Rooster brand, available direct from mfg website thebluerooster;com and also available on Amazon. Thanks for this guide that you provided man it really helps a lot. Thanks again!